Tales beyond belief and imagination from this pre-code 1950's classic title! 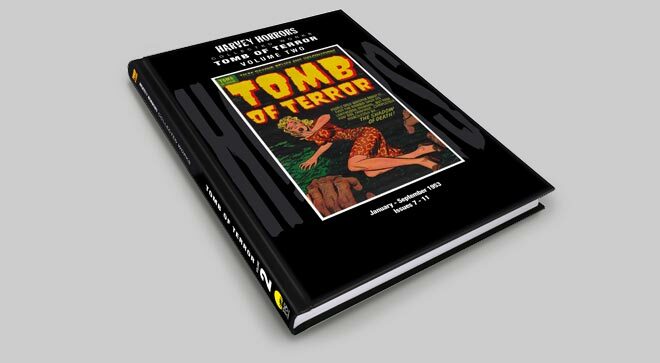 From the Harvey Horror stable first published in the 1950’s the Tomb Of Terror ran for 16 issues now collected together in this exclusive 3 volume set. 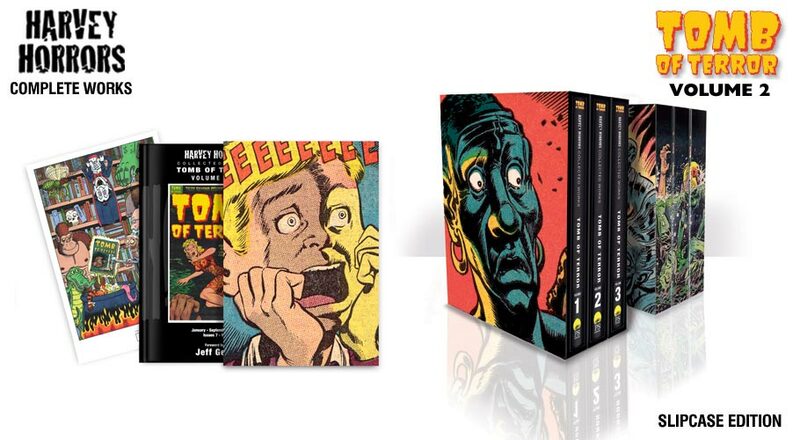 Each volume contains between 5 – 6 issues digitally enhanced and reprinted together for the very first time. 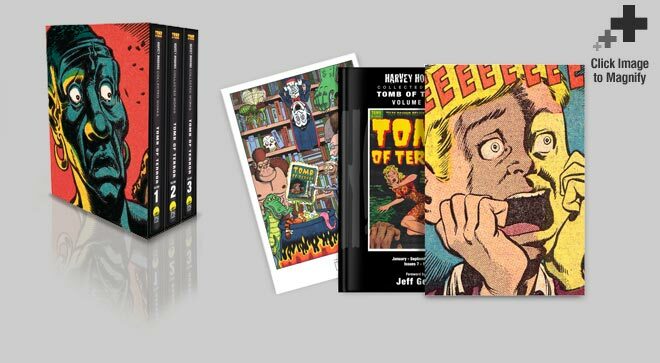 With a special introduction from an leading horror-genre author, each volume will profile some of the leading artists working on the title. 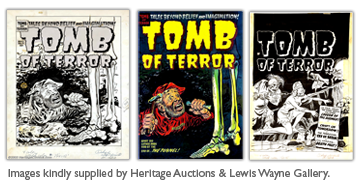 Greats such as Moe Marcus, John Giunta and Abe Simon, together with some fine examples of their original artwork. This leatherbound gold foiled traycased deluxe edition is exclusively signed by Jeff Gelb and Scott Shaw who painted an original picture of Gelb which is included as a limited edition print. 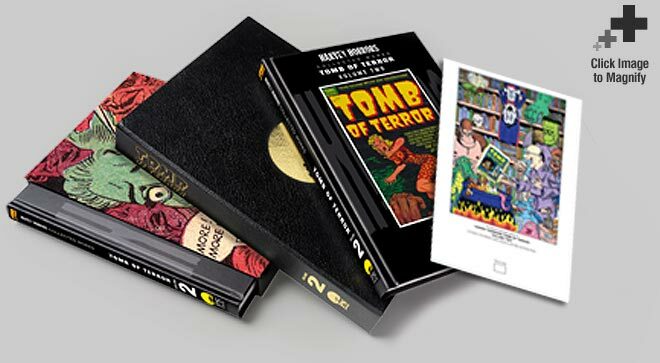 You will also receive free of charge the Slipcase Edition! 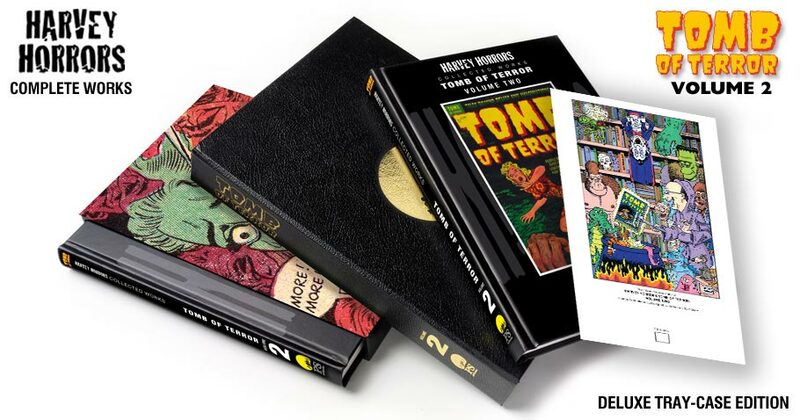 Includes a limited edition specially commissioned artwork print signed by Scott Shaw.